Mars Epistar Pro II 80 Review | Could This Be The Best LED Grow Light? We were asked recently to review the Mars Hydro Pro II Epistar 80 LED Grow light and happily accepted. Currently, there are not too many reviews for this light but the curiously is there. Hence the need to get this information front and center on the web. Mars Hydro is known for its known for quality lighting for indoor growing, so we are apt to take the challenge. Dealing with limited Mars Hydro reviews we thought this would be a great start in our arsenal of articles relating to LED grow light reviews. Will it stand up to other lights in this category? 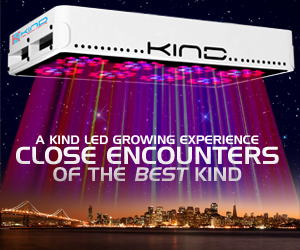 Is this LED grow light comparable in class to other manufacturers? Will it grow an amazing plant? What is the quality like with the Mars Pro II Epistar 80? Is the LED efficient in its operating capacity? Manufactured by Mars Hydro and in business since 2009, the Mars Pro 2 Epistar being a newer light is starting to gain traction in the growing world. The Pro 2 series of lights are a specialized brand of full spectrum Epistar LED’s designed for professional growers and one of the best in Mars Hydro’s LED category. With that said, the lights are truly affordable and can be used by amateur growers as well as seasoned professionals who know their growing stuff. The Light itself allows for daisy chaining multiple lights together, however, we were working with a single LED grow light along with the Mars Hydro 27 by 27 Mylar Hydro Hut Grow Tent in this case. The LED’s themselves are positioned within a “cup designed” cradle, much like that of cone lighting you might find in a home. The purpose of these “cups” is to enforce the strength of the full spectrum lighting offered by these lights to mix the spectrum perfectly as they shine down through the canopy of your plants while they grow. The “80” in the Pro II Epistar 80 refers to the number of Epistar led chips in this unit and not the wattage which the light produces so don’t let that throw you off. The light can replace a typical 300 – 400-watt HPS bulb. At the same time, the light consumption itself is around 178 watts which will save you big time on your electricity bills. All the while covering an area of 2 feet by 2 feet which is recommended for plant growth and a maximum area of 3.5 feet by 3.5 feet. The fans are also whispering quiet and are combined with an internal aluminum radiator (heat sink) system which moves heat away from your plants and cools things down fast which is perfect for hydroponics and for all plants growing in soil that typically grow in full sunlight such as cannabis. I also can’t say enough about Mars Hydro as a company. They have wonderful customer service people who are there to help and seem to love their jobs. That combined with an industry-leading warranty of 3 years or 30-day money back guarantee, you know they stand behind this product should you want to return it for some insane reason. We aren’t sure why you would. We started this review off with an unboxing of our Mars Pro II Epistar by noticing the packaging comes in very discreet packaging, so prying eyes and nosy neighbors won’t know what you are up to in case you are into stealth grow boxes. I live in Colorado, so we were not too concerned with it, but the light itself was packaged very well and protected nicely. Arriving perfectly intact. We were initially impressed with its unique design and sleek surfaces. The light did not appear flimsy or cheap. Strong light and the pro series seems to be a well-manufactured piece of equipment. We specifically enjoyed its silver “spaceship” feel and materials to which it is constructed with. Noticeably are the cup-shaped sockets the chips are placed into at 100 degrees. This is said to enhance the light strength and focus the spectrums to where they need to go – The Plant itself. We started with a seedling for this grow. Using a Sativa Hybrid known as a red-headed stranger as a tribute to Willie Nelson. It is truly a low paranoia strain that has sweet and spicy aromas and a cerebral effect on the mind. A classic! We began by setting up the easy to use Mars Hydro 27 x 27 tent and stringing up the light with the included hanger. The installation was effortless and the LED hanger was strong and easy to maneuver with our pully system as the plant grew to new heights as expected. The built-in fans and heat sinks are very professional. The light remained cool to the touch due to the heavy duty heatsink and quiet fans. There was a bit of noise produced but nothing like some of the cheaper LED grow lights out there and the fact that you don’t need multiple extra fans running keeps the electric bill down which can save you money in the long run. The light itself seemed to outperform other in its class. This is probably due to its “cup” designed LED chip sockets that seem to do a great job of producing quality full spectrum light that concentrates the light on your plants at just the right angle or in other words a 100-degree angle bolstered by its reflective cup module. Our yields were impressive, to say the least, compared to the Viparspectra 450w reflector series that we recently reviewed. After curing and drying our bud there was nothing left to do than test out our final product. Trichomes were nice and sticky and produced a flower that was out of this world great. Our “red-headed stranger” was perfect, producing just under 1 gram per watt with this bulb resulting in 114 Grams of kind herb. Roughly 4 ounces in total. This was with a total of 9 weeks in flower. Not to bad for a signal LED grow. The light itself along with great customer service sealed our impression of this light as one of the best in its class. A well-built light from a reputable manufacturer combined with epistar chips it is a mini-powerhouse and meets our expectations as a go-to model for amateur indoor growers as well as seasoned pros in this niche. As always, Mars Hydro has a great line up of Pro series Epistar Grow Lights. Below is a comparison to get familiar with this inventive grow series. Hope you enjoyed our review and if you have any questions leave them in the comment section below!